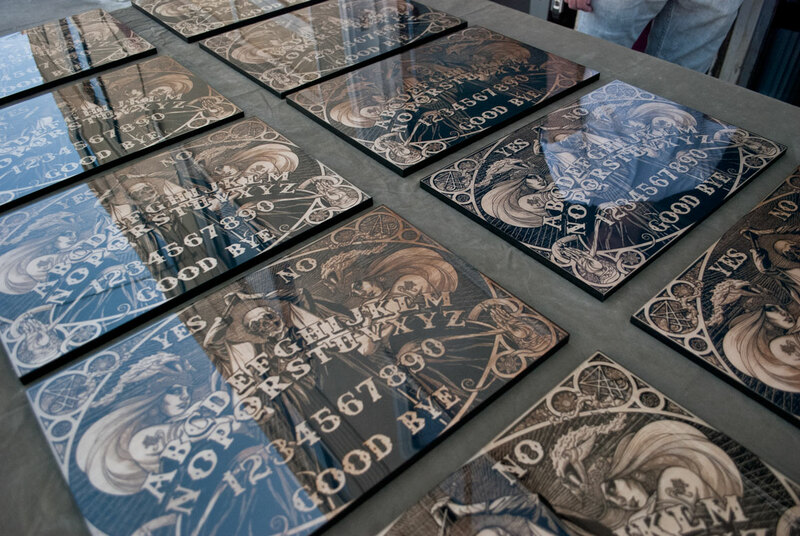 Laser engraving on black enameled Latvian Birch with hand poured epoxy resin coating. 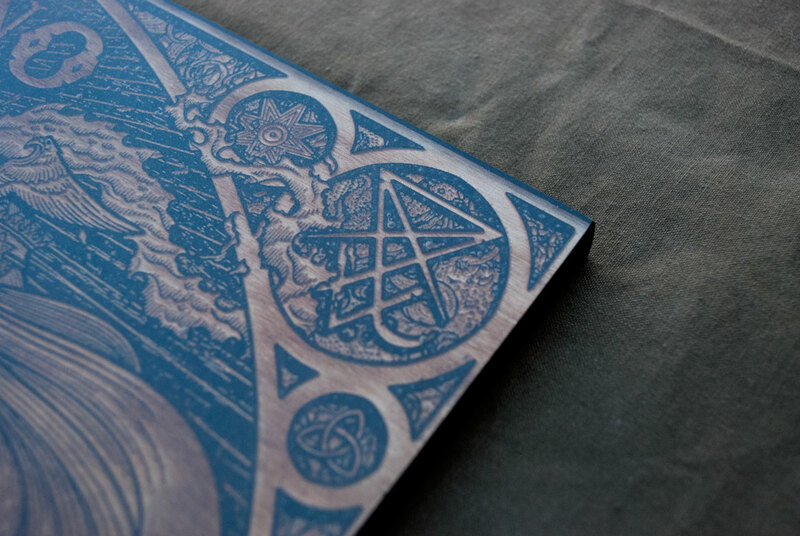 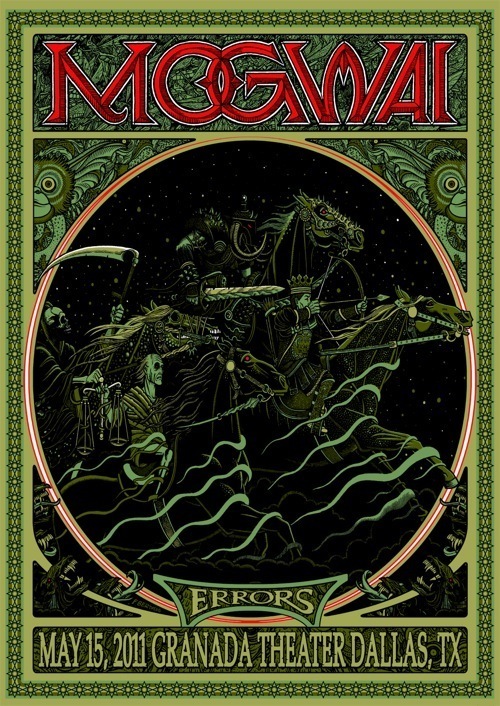 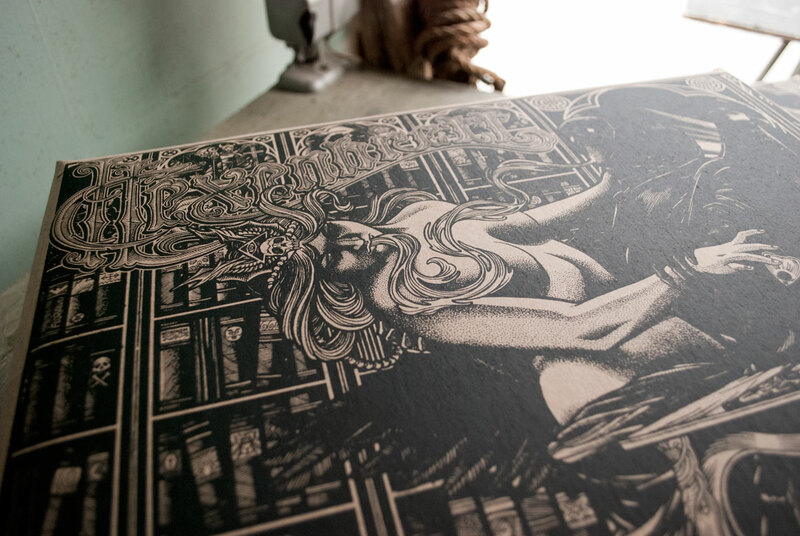 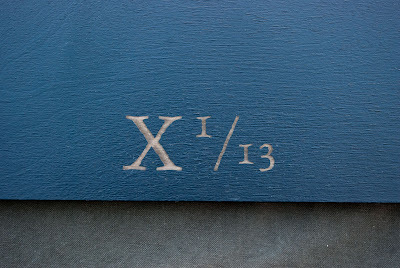 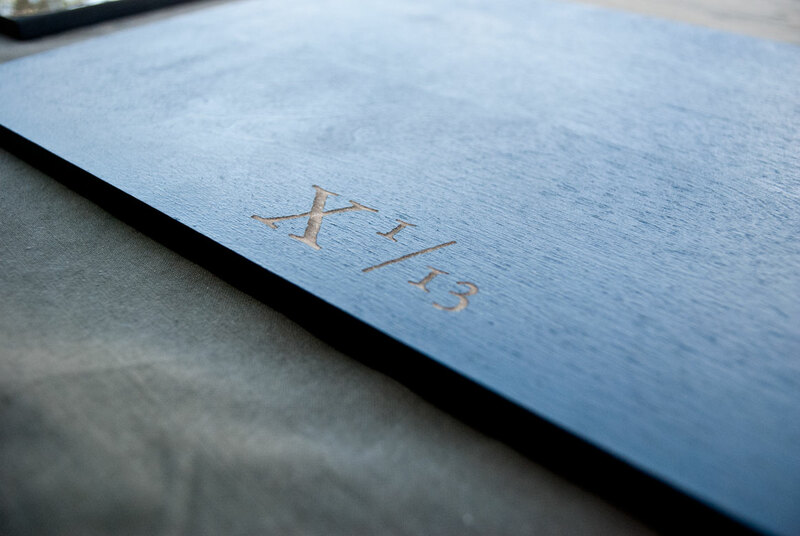 Edition number is laser engraved on verso. 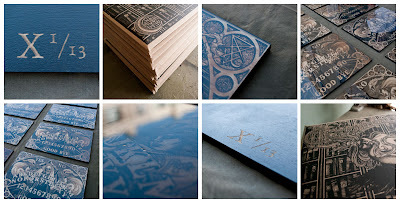 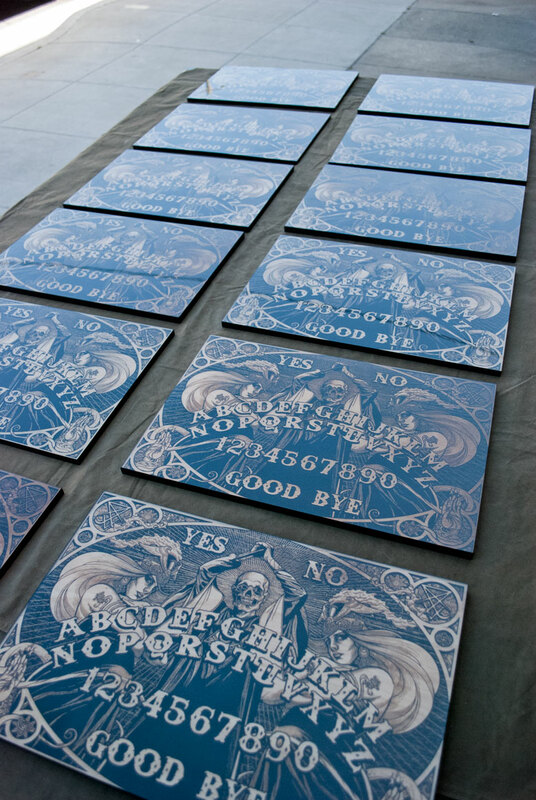 This small edition is made up of boards from the early test and proofing stages of the project. 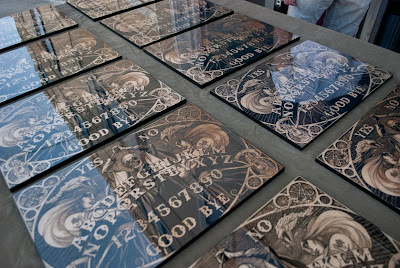 Since these were used in determining the production of the main edition (i.e "working out the kinks") there are slight variations and imperfections in each board. 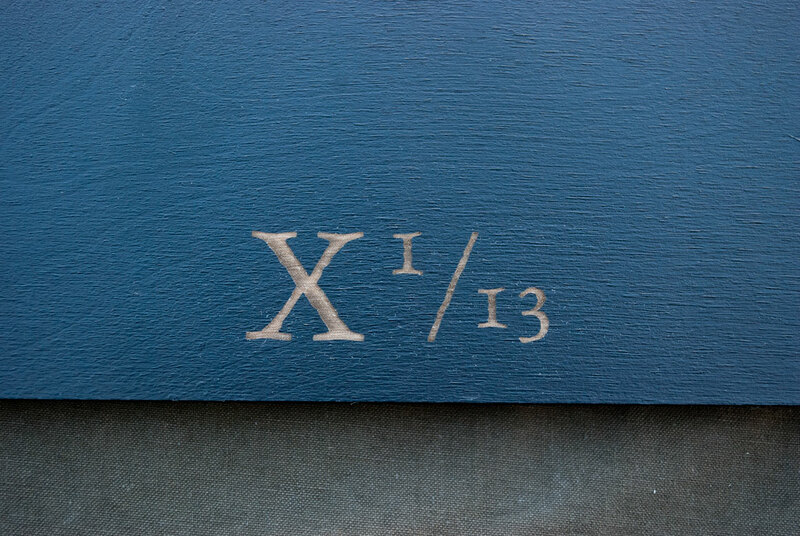 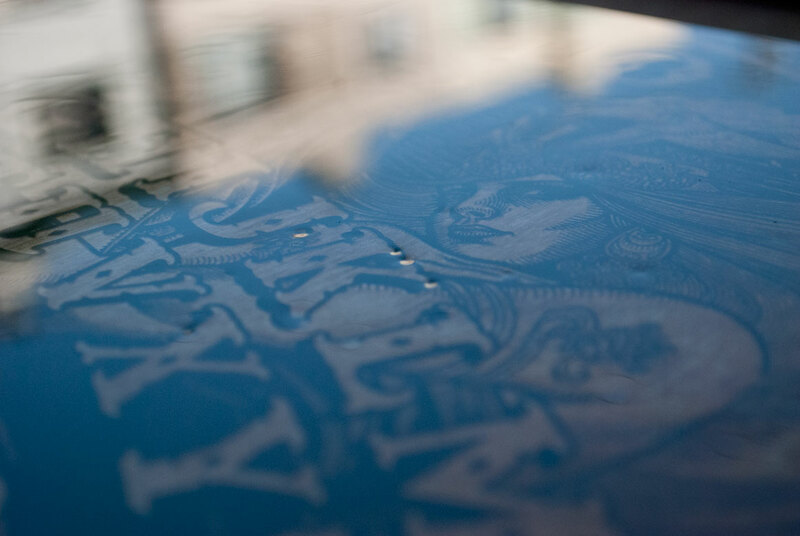 Imperfections range from haze (tiny bubbles in the resin) and small scratches to darker wood in parts of the engraving. 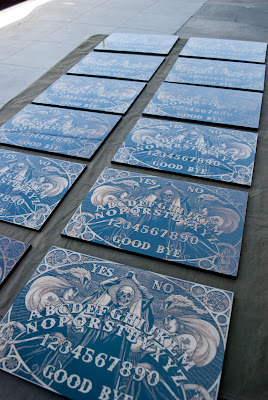 None of these variations are drastic enough to take away from the work itself. If you missed out on the set, this is a great opportunity to score (without spending all your lunch money!) . 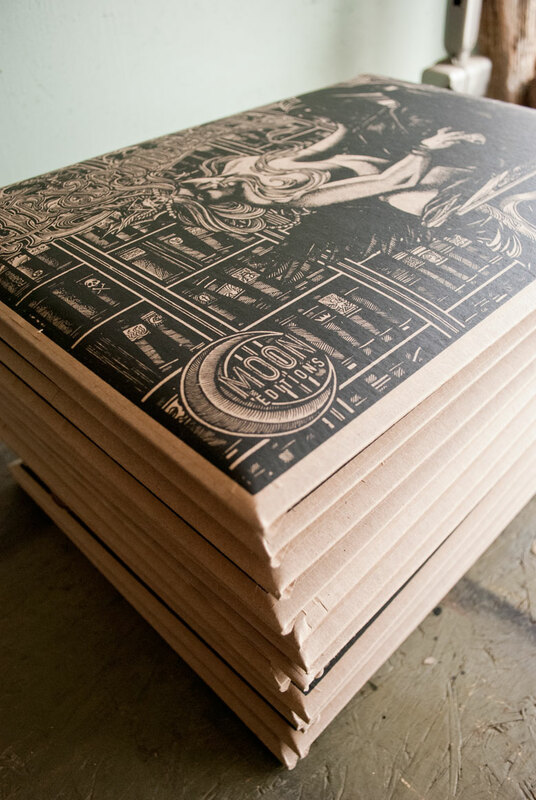 The release comes wrapped in a unique hand printed wrapping paper. Shipped in a rigid cardboard mailer via USPS (Priority). - Limited to one per Collector / household.